If so, we’d love you to come along and see what we have to offer! 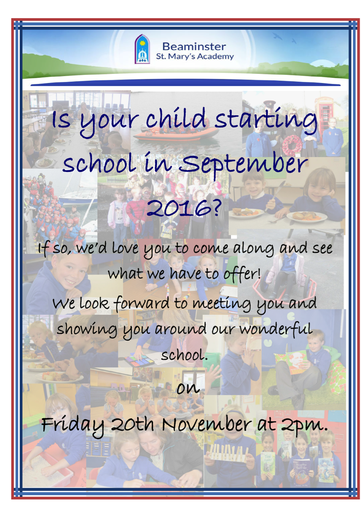 We look forward to meeting you and showing you around our wonderful school. on Friday 20th November at 2pm.